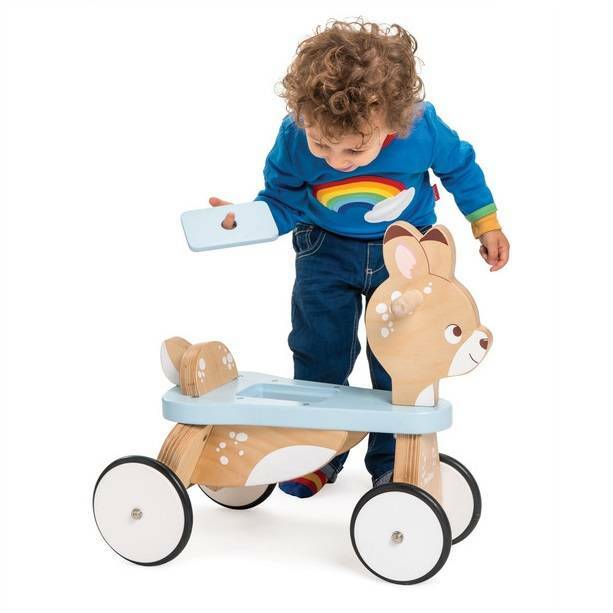 Le Toy Van PL103 Ride On Deer - Chat Perché - Toys & Games! Age : 1 to 2 years old. Ride on the wooden deer to learn about movements and balance. Age : 1 to 2 years old. 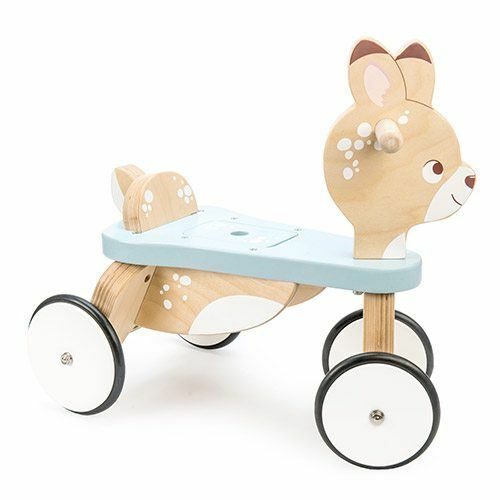 This gorgeous wooden ride on deer has a sturdy wooden structure and storage pocket to carry treasures around. A great way for little ones to get exercise at the same time as having fun. 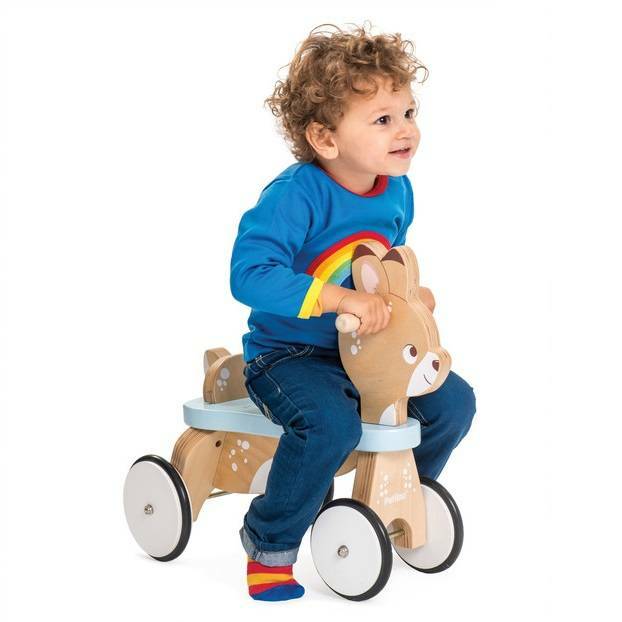 Learning how to push themselves along helps them develop strength, balance and coordination that they'll need for walking, running and cycling. Indoor use only.